Philyaw's Cookout & Catering takes pride in using only the freshest Free Range, Hormone Free, and Antibiotic Free Meats. 50-person minimum. 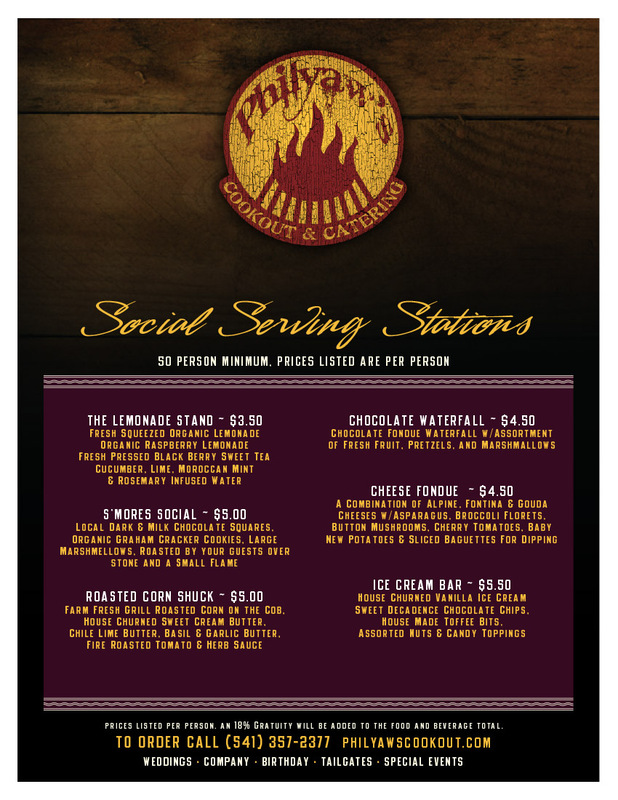 Ask about our custom menu options!